I’m standing on the roof of WAM. In front of me the Coffman Memorial Union and the Minneapolis skyline at my back. Aside from the exclusive view, I am actually up here to look at something else: the two honey bee colonies thriving on the Eastern edge of the roof. To clarify, the honey bee colonies did not find their way to the rooftop. They are part of a project led by the University of Minnesota’s Bee Squad, inspired by Dr. Marla Spivak, Professor of Entomology. The group conducts honey bee research on the St. Paul campus. Other efforts are now being made to educate the community about the importance of honey bees and their contribution to the environment. With a significant drop in honey bee populations throughout the world during the last decade, the Bee Squad’s work is truly critical. 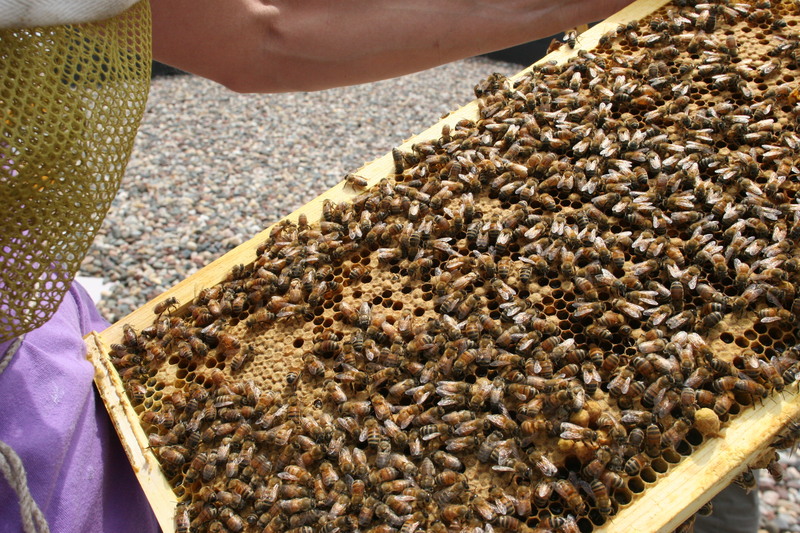 In an urban location like the Twin Cities, colonies on the ground are forced to navigate through the city and the people, making the rooftop location an ideal spot for the bees. They are able to find paths to flowers (where they obtain nectar and unknowingly pick up pollen) in the open air above the urban bustle of ground level. Because of its close proximity to the Mississippi River, a natural hotspot in the metropolitan area, the roof of the Weisman is a particularly ideal location. 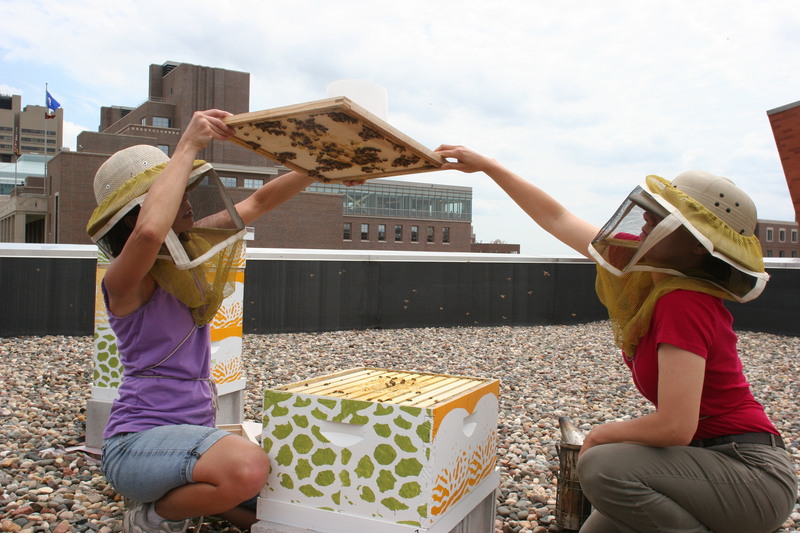 The Bee Squad also has colonies located on the roofs of the MIA and the Bell Museum of Natural History. The Weisman bees have officially produced 80 pounds of honey to date. Soon, you’ll be able to buy some of the sweet stuff for yourself in the WAM shop! Hoping to learn more about the bees at WAM? The Bee Squad will be at the Weisman on Sunday October 27th from 1:00 pm to 3:00 pm. Come meet the Squad, observe the colonies, make beeswax candles, and more. It’s free, so bring your honey and enjoy.